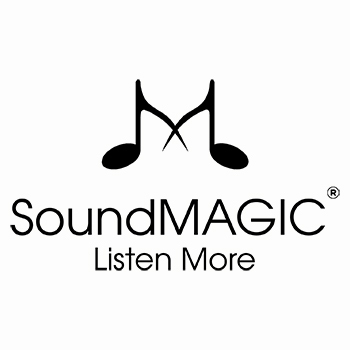 Soundmagic may be a company unfamiliar to those new to the headphone market, however since their debut in 2005 pioneered by Tony Xu, Soundmagic have worked tirelessly to become a hugely successful brand. With countless awards from What Hi-Fi?, Stuff magazine, T3, Trusted reviews and many more it comes as no surprise that I have been eagerly anticipating the arrival of the brand new Soundmagic E11BT. Soundmagic have carefully and neatly packaged these headphones so that they display beautifully even before you’ve opened the box. You get the usual array of accessories you’d expect in the box, plenty of interchangeable ear tips, a Micro USB cable for charging and a nice soft carry pouch with Soundmagic’s logo emblazoned on the pouch. The headphones themselves have been very carefully crafted to ensure maximum comfort. Elegantly sculpted ear pieces made entirely from aluminium which has a lovely hand painted finish really make the E11BT feel more premium than you’d expect. 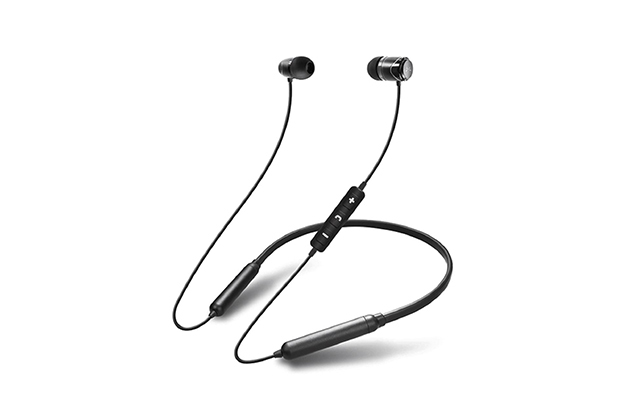 It also means once in your ears they are incredibly lightweight, thanks in part to the aluminium build but mostly due to these being a neckband style of headphones. This design has a significant upside that enormously benefits battery life to the tune of as much as 60 hours of continuous playback time, which is frankly unheard of for in-ear wireless headphones! It also means they are very well balanced so there is no annoying pull to one side like some of the Soundmagic’s competitors. They also employ the latest version of Bluetooth (Version 5.0) which gives numerous benefits most importantly in this case is a longer range, much higher sound quality (thanks to a higher bandwidth) and lower energy usage. These headphones are also completely universal with their three button system to control your music and answer calls on the go. 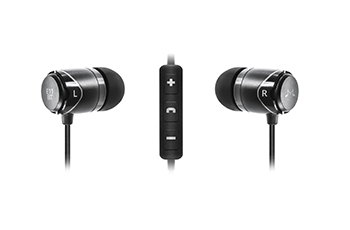 Comfortably fitted in your ears and paired with your smartphone of choice, you’re immediately greeted with great levels of passive noise isolation, very handy if you’re going to use these for the commute to work. Tidal is my choice source for this test and reveals their qualities as yet another pair of highly successful headphones. First track is an old favourite of mine “Alright” by Jamiroquai, which reveals the fun side of these headphones, really getting their teeth into the track with clear detail and separation, tightly controlled bass and clear midrange. Changing up to “Latch” by Disclosure reveals a very airy and open sound to the headphones, with bass still being kept well under control and details of the track sparkling through. Sam Smith features as a vocalist on this track and his voice is given plenty of warmth as the track plays and cuts well throughout the rest of the track. Final audition is Jack Johnson’s “Upside Down”. This is a lovely mellow track that requires delicacy and a light approach. I am pleased to say the Soundmagics handle the track brilliantly, really keeping a lid on the track but still making you want to tap along to the beat. Jack’s voice sounds clean and genuine with the rest of the song surrounding the vocals nicely. There is quite a lot of midrange in this track which sounds just a touch congested in this track but it’s nothing extreme or unacceptable given the price point of these headphones. To summarise the Soundmagic E11BT come highly recommended (so highly that I personally own a set!). They really offer a lot in terms of a well-balanced and well-mannered sound. This may not be to all tastes but for realism and a nicely judged sound, you could do a lot worse than these solid performers. Why not pop down to your local Richer Sounds store and try out a pair for yourself!